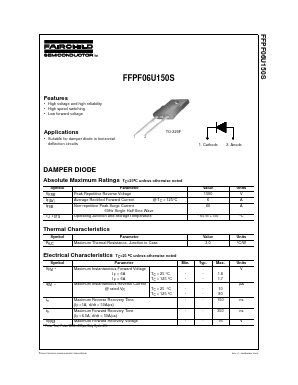 FMP-3 Damper diode (Diode modulation for Displays) View Sanken Electric co.,ltd. 2SC5003 Built-in Damper Diode View Sanken Electric co.,ltd. 5TUZ47C DAMPER DIODE FAST, HIGH VOLTAGE View Frontier Electronics.